The Chief Programming Officer for South by Southwest (SXSW) on email, failure and the book that changed his life. Hugh Forrest: Weekdays, I tend to get up very early — usually around 4:30 am. My first activity out of bed is turning on the laptop and attacking the glut of emails. Weekends, I sleep in and that feels so decadent and delicious! HF: These days, my best source of energy is my 6-year-old son. His enthusiasm for life is absolutely infectious and intoxicating. Jumping on the trampoline with him for a few minutes gives me a high that few other experiences can currently match. HF: Meditation. I try to squeeze in about 10 minutes every morning. It helps me focus my attention and helps me put my problems into perspective. When I find time for this practice, I almost always feel more confident about the day ahead. HF: Probably “Manifest Your Destiny: The Nine Spiritual Principles for Getting Everything You Want” by Wayne Dyer. This book sparked me to experiment with meditation, which has made my life better in a lot of different ways. TG: Tell us about your relationship with your phone. Does it sleep with you?HF: I check email on my phone constantly — but am much more comfortable answering these emails via my laptop. Why? I find that I am less prone to write things I will later regret when I force myself to wait longer to respond. HF: Days are mostly meetings. So, early mornings are when I get the most email activity done. I try not to get on the computer after I come home from the office at night — although, I sometimes cheat on that rule. TG: You unexpectedly find 15 minutes in your day, what do you do with it?HF: Ugh — catch up on all those emails. Wish I had a sexier answer here. HF: A very intense December left me feeling tired, cranky and burned out. Five days of downtime spent with family (and very little email) helped me get back on track. I love how that last week of the year allows you to relax and reset. HF: I fail way too often. The common thread on almost all these failures is embarking on some kind of new endeavor without sufficient preparation, deliberation, or dialogue. Being speedy is good, but haste (still) makes waste. HF: Professionally, I love the “markets are conversations” theme from the classic book The Cluetrain Manifesto. Personally, a staple of my meditation is “love over fear.” I am slowly coming to understand the wisdom of that short canon. 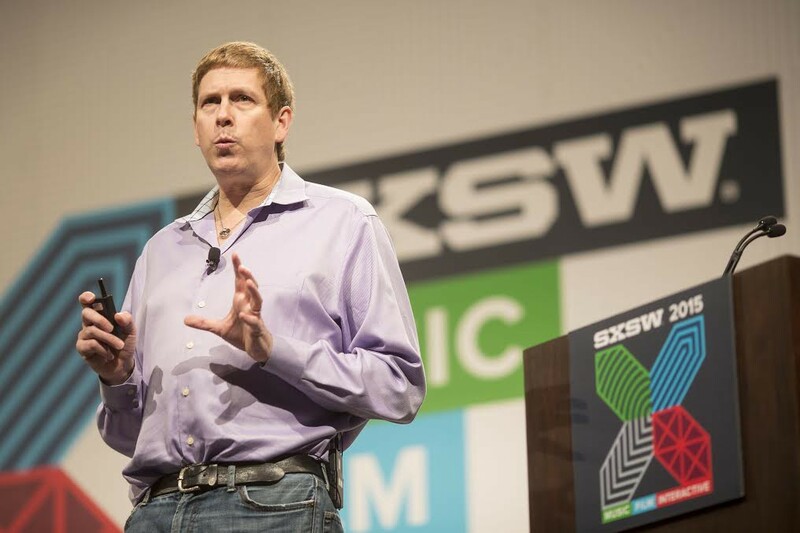 Hugh Forrest serves as Chief Programming Officer for the annual South by Southwest (SXSW) Conference. In addition to his work at SXSW, he is part of the National Advisory Board for the Poynter Institute in St. Petersburg, Florida. He also serves on the Board of Directors for Austin Habitat for Humanity, as well as a trustee for the Austin Awesome Foundation.